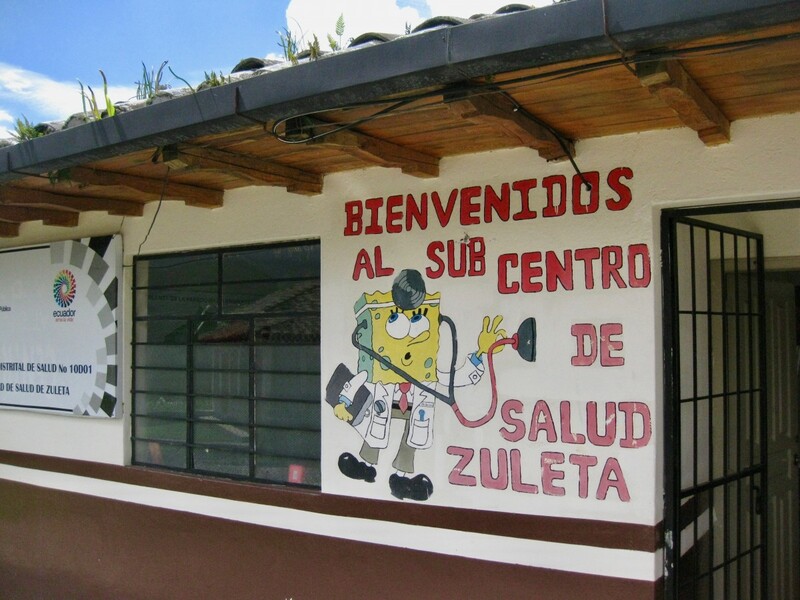 The Health Centre at Zuleta Comuna is an excellent example of Intercultural health provision when it is functioning well. Sadly, this is not often the case around the country, as, despite policy guidance set out in Ecuador’s 2008 constitution that indigenous people enjoy the right to have their ancestral health beliefs and practices respected and integrated into standard modern clinical services, in many places this simply does not happen. Ignorance and prejudice amongst the modern clinical community is largely to blame for this. Viviana, the Nurse Practitioner and Co-ordinator of the Sub-Centro de Salud, Zuleta was happy to talk to me about how things functioned there. She fiercely supports the rights of their indigenous clients to be able to come to the Centre and find sympathetic diagnostic and therapeutic services which integrate the best from both modern clinical care and from indigenous Andean medicine. She is fully aware that not to do this would alienate many people and possibly deter them from coming. They work with a range of traditional healers and practitioners: fregadores (cleansers), partera/os (midwives) and yachaks (wise people - shamans). I was fortunate to coincide with a workshop held there recently, wherein local practitioners met and exchanged their views and experiences, and expertise of different plants. Although some of the meeting was conducted in Kichwa, a lot was discussed in Spanish and I was able to understand much of what passed. Given the wide range of variation in approaches to traditional healing and therapies employed, it was interesting to observe moves underway to standardize therapies, for example in the indigenous classification of the body, illness, plants and animal products (that would be used in different therapies) by whether these were considered to be ‘hot’ or ‘cold’ – an approach and understanding that, interestingly, is the basis for Traditional Chinese Medicine. This blog entry was posted on Tuesday 23rd January 2018.